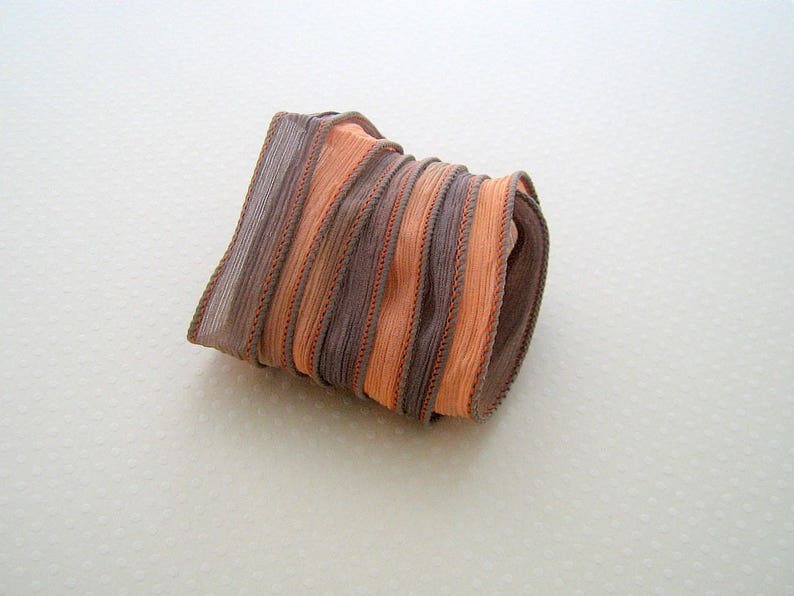 Shades of orange and Brown hand dyed silk ribbon. These ribbons are finished with spikes and surfiles all around. Ideal to attach your pendants. Perfect for my daughter! Fast delivery.